SERVICES - Scuti Co., Ltd.
Cookstar was founded by Tomohide Kakeya since 2016 and gathered variety of recipes till today. The first thing you should know about this site is that we are obsessed with creating scratch cooking recipes that you will love. This is what we also strive for—recipes you can rely on to work every time and be worth your time, effort, and save money to make! The other thing that our goal was (and still is) to encourage people to cook at home, and to make the process of feeding your family and loved ones less intimidating and more enjoyable. What you can do with Cookstar? You are able to search your favorite recipes by ingredients, name of dishes and also name of the one who made those recipes. Refer the recipes with Cookstar’s categories: Popular Recipes, Professional Recipes, Simple Recipes or The Recipes which was suggested by Cookstar’s Team. Jobright is a service that spreads from Vietnam, Southeast Asia, and the world. For the development of Jobright we will provide services with the pride of Vietnamese representatives. 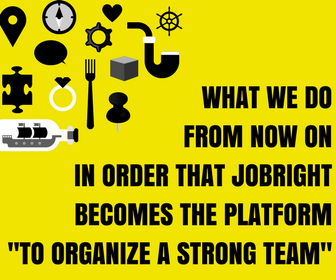 What we do from now on in order that Jobright becomes the platform "to organize a strong team"
Final decision-maker of product spec. Basically the customer is in charge of it. In case that product owner and Development team have to communicate in different languages, Bridge needs to inform requirements of Product owner to Development team with both languages well, inform situation of Development team to Product owner exactly. If you can communicate in English, we don't need this position. Our member can be in charge of it. If your member wants to be in charge of it, we strongly recommend that he/she comes to our office and advance the project together in the same space. He/She is in charge of management of progress and issues of Development team. Also responsible for quality of project. Make decision for technical issues. Execute actual programming and testing. Our members are in charge of it. You provide requirement definition and basic design (if we need), we understand your requirement exactly via Bridge. This phase is the most important. If you can share with us "how good thing will occur if we develop this application", a project must be much better. We write code with following your requirement and test to confirm if it work correctly or not. We can make situation that you can confirm as small module as possible on staging environment, and you can give us feedback as soon as possible. Then we can make small and quick cycles to make and modify. When we write codes and test all of modules, we deliver software to you. Then we'd like you to execute acceptance test. This is the final check. If you find recognition difference or bugs, we can fix them. When we finish all of fixing or modification, we can fix delivery. Want to make a business with us? In the age of IoT- Internet of things, you can easily foreseen that as an IT engineer, working in Japan - one of the most information technology developing countries all over the world - is not a bad idea at all. Working as well as living in Japan maybe is a dream of many people and to IT engineers, it becomes much more easier than ever. And if you are still wondering HOW , let us tell you WHY we can be so sure like this. Going to Japan no matter what the aim is, has been always regarded as a highly-cost one. We, Scuti Co.,LTD, will support you even in accomplishing legal procedures. All the fees will be paid by the company that you will work for in Japan. Of course, you will receive social welfare as well as Japanese co-workers. 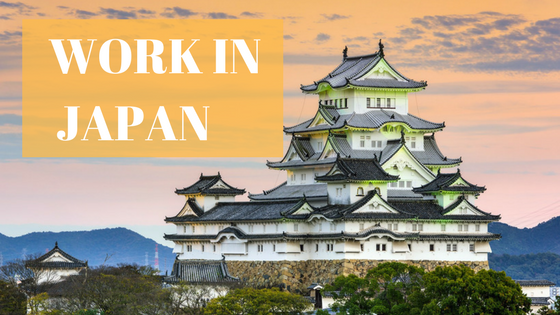 Going to Japan - where the culture is different from Vietnam and business manner as well, you will join in some courses we organize for the newbie which can help you a lot to integrate in the community. And don't forget that you will working online with the company you have chosen as a trial time and the decision will be made by both you and that company. If the decision is not as good as you have expected, you will continue seeking for another one or being our employer. If you believe that you can qualify the two conditions and want to know more about our service, you can find it here and remember that we are always here for you to contact at anytime. We are eager to see you soon!